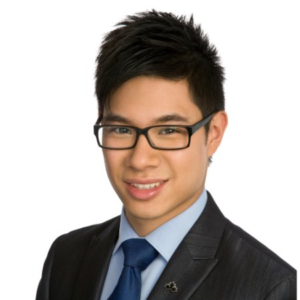 Here’s the story of how Andrew Chao Dongnam started his inbound agency Bethink Marketing. Were you ever told that to be successful in marketing you need to have a curious character? When I heard that for the first time, I thought I was in the wrong field because I had the impression to be curious is to be nosy and annoying. As I journeyed through my marketing career, I eventually realized that curiosity is rooted in your eagerness to learn more in order to improve the status-quo. I would like to share with you how curiosity led me to start an inbound marketing agency for the financial sector. During my college years, I was hired by an HVAC manufacturing company as a marketing intern. I felt special because I was the first marketing staff that they ever hired. My first mandate was to prospect for potential distributors. I basically sat down 8 hours a day going through website after website and entering potential leads in an Excel spreadsheet. I did that for about 2 months non-stop. When the list had a decent amount of contacts, I was told to email each one of them to let them know that we were looking for resellers of our products. The only efficient method I knew was sending a mail merge. I thought I was a genius for knowing how to do that because no one else in the company knew about this neat trick. It didn’t take long before I was annoyed by the lack of design options. I had many questions that I could not answer. With some research for better email marketing, I discovered MailChimp and was amazed. What amazed me was not the tool itself but how little I knew about the possibilities of what you can do with online marketing. This is where curiosity really kicked in. I wanted to know everything about online marketing. I started Googling and reading articles about SEO, social media for business, HTML, email marketing etc. The more I read, the more I wanted to help the HVAC business run online activities. I learned basic HTML and CSS to update their website, created a corporate news section, launched their social media accounts and pushed content through these channels while continuing with email marketing. One day, I received a call from a HubSpot rep. He told me he noticed my online activities. I proudly told him everything that I was doing. But when he started asking me questions about how I was attracting visitors and converting those visitors into leads… I had no answer for him. He walked me through the Inbound Methodology and I thought it was the most genius marketing approach. I felt like a whole new world was just discovered and I need to be exploring it. I wanted to convince my superiors to use HubSpot and run inbound marketing activities, so I drafted an Inbound marketing plan with the campaigns that we should run and even created visuals for my presentation. Unfortunately, I did not get the opportunity to present what I prepared. There was no interest in Inbound Marketing. At that point, I knew that I had to move on to another company where I get the opportunity to apply inbound marketing activities with HubSpot. After quitting my job at the HVAC plant, I started working for a financial service company that tailored to High Net-Worth investors overseas. Although they were HubSpot users, they were very new at it. Their only activity was sending out bi-monthly newsletters to clients. I wanted to jump right into HubSpot and get my hands dirty with it. But, since I was in training, I was trained to learn the current operation. Their sales and marketing efforts were very traditional and typical from financial service firms. Other than referrals, direct mailing was their only tactic to generate leads. Sales and marketing alignment was non-existent as well. The number of leads that we were generating was miserable to the point that advisors had no leads in the pipeline. Approximately 7 months into the job, about 40% of the staff left or got laid off. My boss was very concerned with the downward direction of the business and told me that I had to come up with a breakthrough plan to generate leads quickly. I knew I had to think outside of organic methods as it would take too long to generate leads. I thought of running paid social media campaigns for (Bottom of Funnel) BOFU leads. As a company with a very small niche, the results above were a huge game changer. These paid campaigns completely changed the sales and marketing operations. Advisors were not used to having that many leads to deal with. Sometimes they even asked me to stop running campaigns because they did not have enough time to contact each of them in a reasonable time! The flow of leads helped us to align the sales and marketing department. Both departments got together and I explained the marketing to sales handoff, list creation and implementing the HubSpot Sales tool so that both departments were fully transparent. Although we were generating a lot of BOFU leads, we were completely missing out on a strategy for top-of-funnel (TOFU) and middle-of-funnel (MOFU) prospects. I gathered the marketing team to work on our buyer persona & buyer’s journey, content mapping, and an editorial calendar for running monthly campaigns. As I was the Head of Marketing, I felt that I accomplished a lot with HubSpot and really helped the company transform their efforts by being inbound-focused to the point that it became imperative for everyone in the organization to obtain the Inbound Certification, no matter the position. The thrill that I got from empowering the company with HubSpot and Inbound Marketing prompted me to go beyond the 4 walls of this business. I became eager to help others to drastically improve their sales and marketing efforts and was curious to know how many companies I could help and what I could be doing for them if I decided to leave my life as an employee. After much reflection and the desire to pursue an entrepreneurial path, I decided to launch Bethink Marketing Consulting as a HubSpot Agency Partner. Companies in the financial sector can drastically change for the better with Inbound Marketing. I witnessed it with my own eyes through my work and I want business owners in this industry to witness it as well. This is why Bethink Marketing was founded. I am on a mission to train better finance marketers by first implementing inbound marketing activities to generate leads. Then, I can train their staff to leverage the HubSpot tool for increasing inbound activities to amplify results. For those who are in the financial sector, you can learn about our 5 step approach to our inbound marketing implementation and training process. Having a specific vertical did not come to mind right away. At first, I wanted to meet anyone that I could to teach how to use HubSpot and to run inbound marketing campaigns. This seemed the most intuitive because we all want to to get as many customers as possible. However, during my conversations with HubSpot and Peter Caputa, CEO of Databox, they convinced me that my experience would benefit financial service companies the most. It made a lot of sense. If I want to be very successful with my business, I need to help with what I understand and do best. In addition, this gave me a peace of mind to know that I can have a focus in my marketing activities. Curiosity is truly what will keep you growing, wanting to learn more and striving to be better than yesterday. It will bring you to places that you would never imagine literally and figuratively. Do not settle for mediocrity and seek to be the best as you can be. Most importantly, do what you love and help others with what you love with a curious personality. Andrew Chao Dongnam Andrew is the CEO and founder of Bethink Marketing. He is passionate about training marketers to develop the skills, knowledge, best practices and mindset that is necessary for growing the business.